Published in the EG section of The Age, Friday 6th April. For online version, click here. 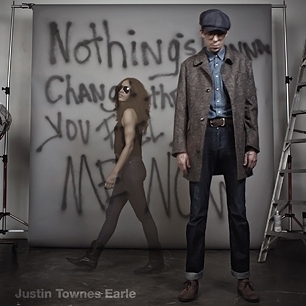 Like the cosmos itself, Justin Townes Earle is ever-changing. Like the eternal troubadour, he’s always wandering, he’s always searching; eerily thin and wreathed in cigarette smoke, he’s a musical chameleon born of country melancholy but striving to find an answer in as many styles as he can, the common thread being his incredible songwriting and love for music in general. Tracking his recorded output thus far, one can chart these changes. 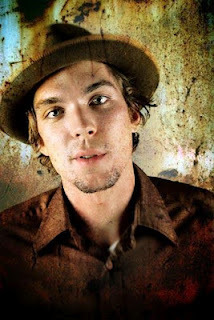 Debut EP Yuma (’07) signalled his intent, a stripped back folky affair with more than a hint of the country music he’d have grown up with, something which leaked heavily into debut LP The Good Life (’08) and next offering, Midnight At The Movies (’09), mixing effortlessly with a honky tonk rumble. The following year, Earle released Harlem River Blues, a record with bluesy roots but with a heavy gospel overtone, which leads to where we find him now, reigniting his love of Memphis soul on fifth release, Nothing’s Gonna Change The Way You Feel About Me Now. “Well, it’s a soul influenced record, it’s as much a soul record as Midnight At The Movies was a country record, it has all the trappings of soul music,” Earle drawls, and it shows in the upbeat ‘Memphis In The Rain’, the horn-laden ‘Baby’s Got A Bad Idea’, the shimmering organ-laced ‘Down On The Lower East Side’. “I think it’s the same thing that drew me to country music,” Earle then says on the appeal to him of soul music. By rock ‘n’ roll, Earle seems to mean the early variations of the form, illustrated best on the aforementioned ‘Baby’s Got A Bad Idea’, which is easily the most upbeat track on Nothing’s…. 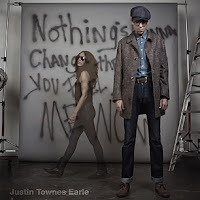 It’s the dewy sweet soul strains that shine the brightest however, culminating in a record which Earle has been quoted as saying will affect him artistically forever.